Data Privacy Day has been promoted, supported and celebrated by hundreds of privacy-conscious organizations since 2008. 2013 was one of the most active years, and the National Cyber Security Alliance (NCSA) along with other supporters are hoping for a more fruitful 2014. ExpressVPN is one of the top global VPN providers that has steadily protested for greater online privacy and freedoms. Data Privacy Day is one of the laudable global efforts towards that same goal. People need to be well informed on their privacy rights, how they are currently being violated, and what they can do about it. ExpressVPN stands as one of the dependable services that can help people reclaim their online privacy and freedom by controlling their Internet footprint and distribution of their personal data. Data Privacy Day actually started as the European Data Protection Day in 1981. Then, people commemorated January 28th as the day when data protection and privacy was first recognized internationally as a legal right. Today, many around the world join in this celebration on the international treaty called Convention 108 and what it means for Internet users everywhere. One aim of Data Privacy day and supporting organizations like ExpressVPN is to inform everyone, everywhere about what’s happening to their data online. There are as yet few firm laws that protect people from online data snooping. So people need to learn what is going on, and how they can protect themselves. Since governments do not have enough control over user data, and it is many times the governments themselves that are mining this data, users need to become adept at using tools such as ExpressVPN. 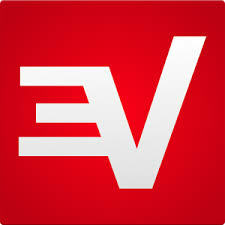 ExpressVPN is a personal VPN that is made to give users control over their online presence. It hides their IP addresses, prevents tracking, encrypts data and traffic, and generally secures the users’ online sessions.